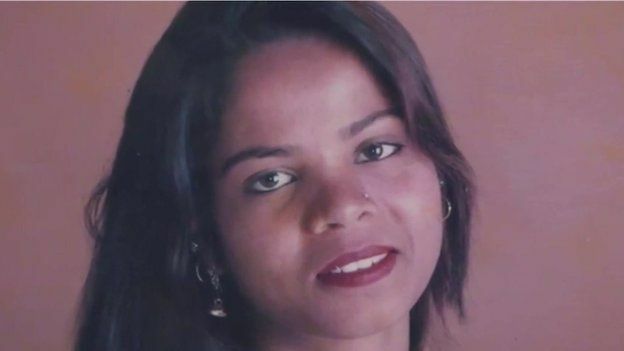 ROME: Italy has said that it is working to help relocate the family of a Pakistani Christian woman acquitted eight years after being sentenced to death for blasphemy, amid warnings from her husband that the family’s life is in danger in Pakistan. The Foreign Ministry said it was coordinating with other countries to ensure safety for Aasia Bibi and her family. In a statement, the ministry said it was ready to act on whatever the Italian government might decide — an indication that an offer of asylum might be in the offing. Bibi was convicted in 2010 of insulting Holy Prophet (PBUH), but Pakistan’s top court acquitted her last week. Protests by hardline Islamists prompted the government to impose a travel ban on Bibi until her case is reviewed. Meanwhile, Canada has urged Pakistan to ensure the well-being of Aasia Bibi. “Canada calls on Pakistan to take all measures necessary to ensure the safety and security of Aasia Bibi and her family,” Freeland said. “Canada is prepared to do everything we can” and is “extremely engaged in this issue,” Freeland said.